SEASIDE students at Sandy Bay, Harrison Lewis Centre, Port Joli area. 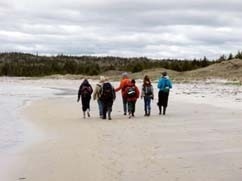 Take part in the Summer Education & Applied Science Institute at Dalhousie in Ecology (SEASIDE) program and study the diversity of organisms along the coast of Nova Scotia. 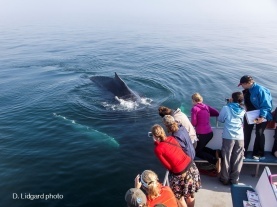 Travel to Nova Scotia’s beautiful coastal areas to put classroom knowledge into practice. 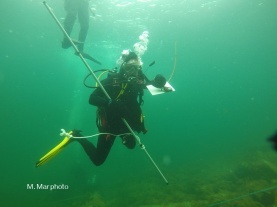 Offered through the Biology Department, SEASIDE courses provide undergraduates with hands-on training in species identification, sampling, conducting research, and other practical skills, while studying different ecosystems and the biology of algae, plants, insects, amphibians, reptiles, birds, sharks or marine mammals. Learn more about the SEASIDE program. For summer 2019, between late April and end of August, we are offerring 17 field courses in intensive 2-3 week format plus a six-week international field course to Sri Lanka. Our courses provide university credit in Biology (BIOL), Marine Biology (MARI), Oceanography (OCEA) Environmental Science (ENVS), or Geography (GEOG). Some are open to non-majors. Learn more about our course offerings.